Make all your lights smart lights. Simply. Nano Switch dramatically improves the lighting in your home. This 3rd generation of invisible lighting controllers outperforms all that has come before it. Compatibility is broader. Lighting is faster and more responsive. Automation and intelligence have never been more powerful. And it comes in such a small size, that you’ll be amazed at just how much functionality we were able to craft inside. Perfect lighting is a part of every truly smart home. Lighting that is responsive. That is always on when you need it, and off when you don’t. But perfect lighting has never been easy. 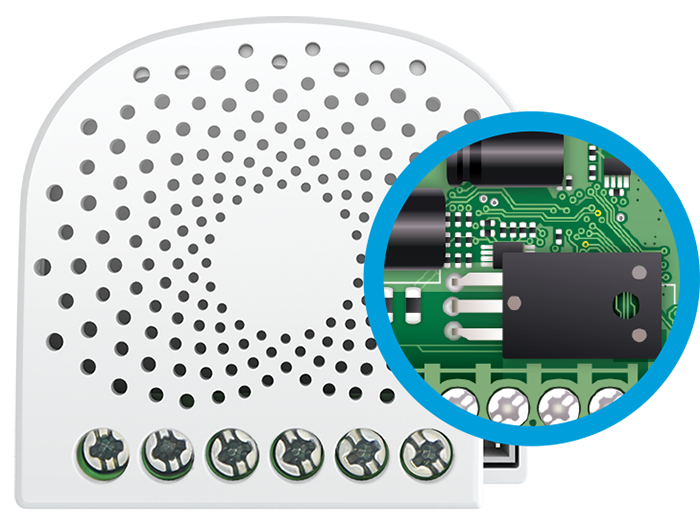 Nano Switch lets you add new and existing lights to your Z-Wave system. It makes your lights smarter. It makes them responsive. It gives you the ability to control them and schedule them. All that control and intelligence comes from simply wiring Nano Switch behind an existing wall switch. Works with your existing light switch. Nano Switch has been designed to enhance your home, not to completely change it. 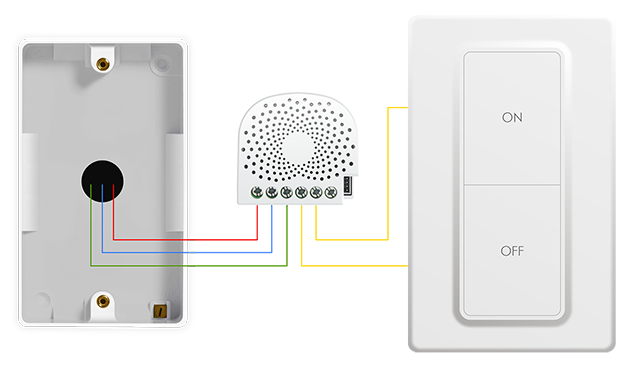 That is why it is been designed to work with most of the light switches typically found in homes, new or old. It installs invisibly behind them, enhancing their functionality instead of completely replacing it. Works without any switch at all. When you enhance your lighting with Nano Switch, you do so with the connectivity of Z-Wave Plus. Connectivity that lets you intelligently automate it, connectivity that lets you responsively control it, and connectivity that lets you manage and monitor it even when you’re not home. To make an in-wall lighting controller this perfect means working from the ground up. 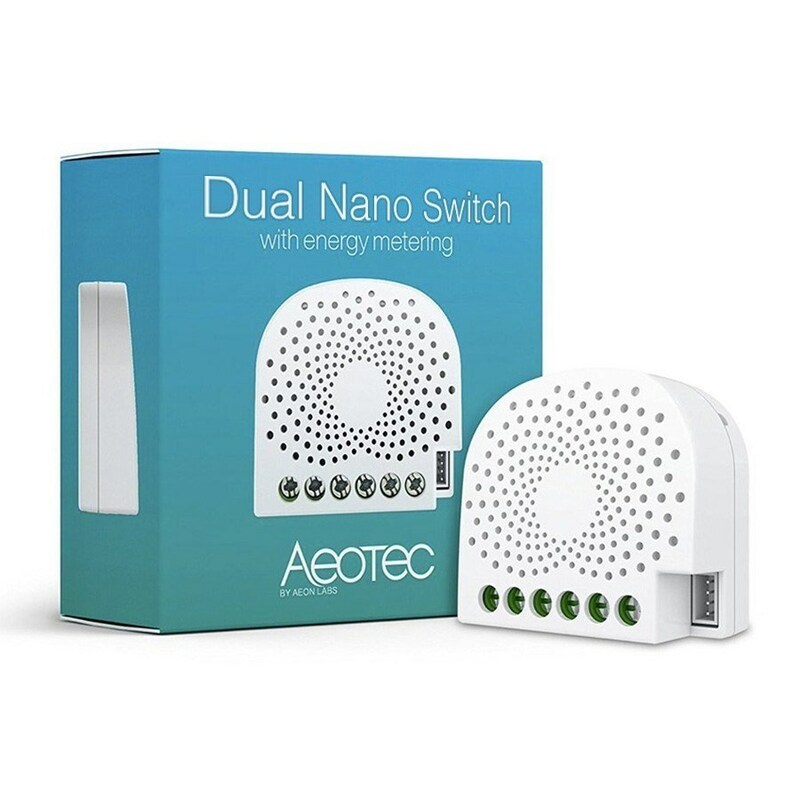 But despite now being 60% smaller than our original technology, every single millimetre of Nano Switch benefits from our 10 year’s experience in making in-wall switches. That decade’s worth of expertise makes Nano Switch compact without compromise. Your lighting may be perfect, but that doesn’t mean the electricity powering it is. Things happen. Surges happen and are common, and Nano Switch protects against them. 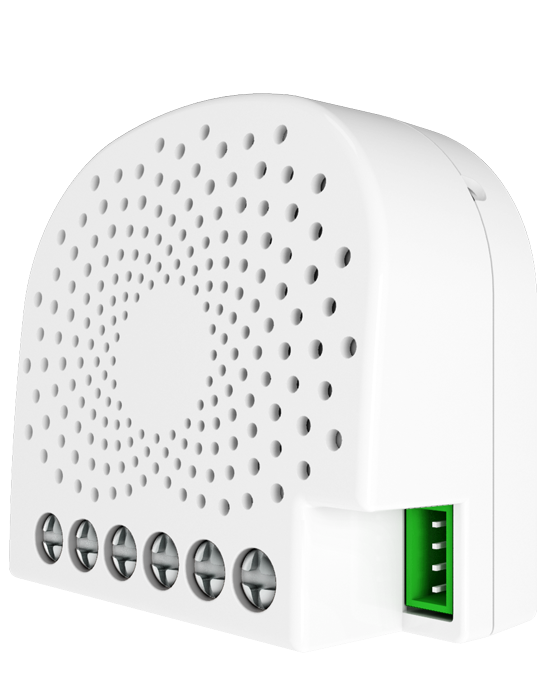 With a in-built surge and overload protector, Nano Switch not only keeps your lighting connected it keeps them protected.